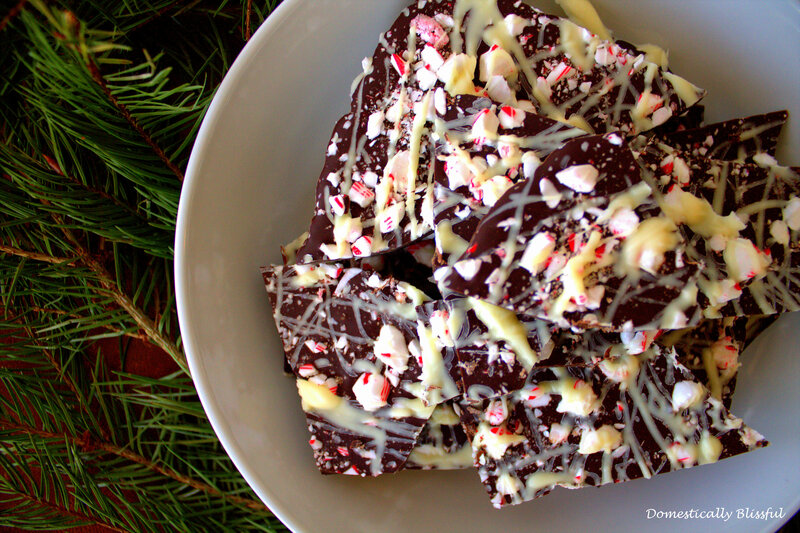 I have been looking forward to making this Double Peppermint Bark for a while now! 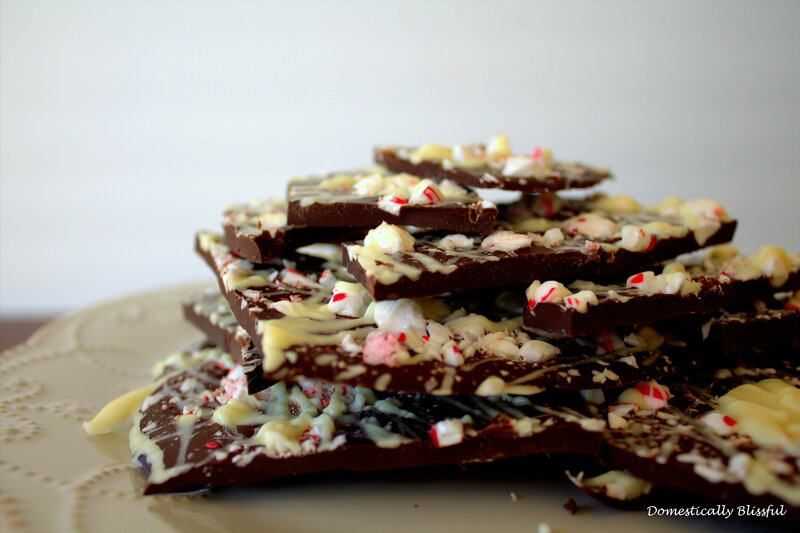 I just love biting into a piece of dark chocolate, sweetened by a drizzle of white chocolate, and topped with a peppermint crunch! Yum! 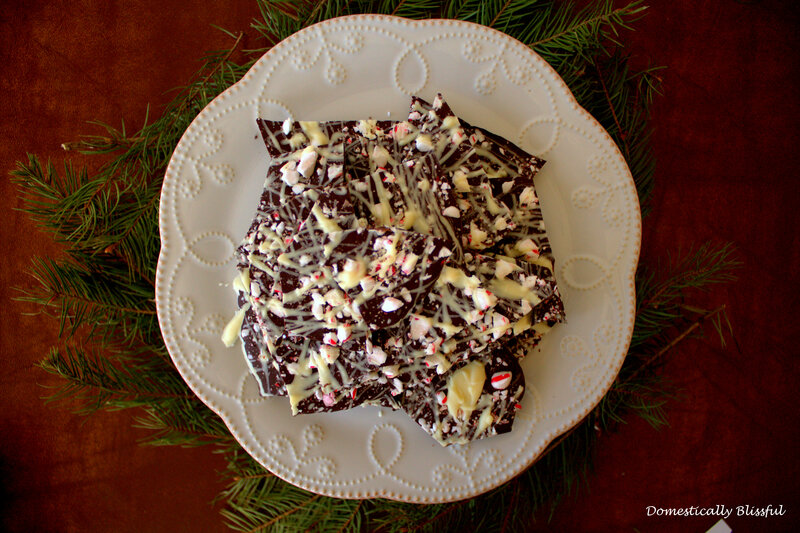 My husband and I were breaking off pieces of this Double Peppermint Bark even before it had completely hardened – it’s impossible to resist! Not only is this a deliciously sweet treat but it also quick and easy to make! 2 cups chocolate chips – dark or milk whatever is your favorite! 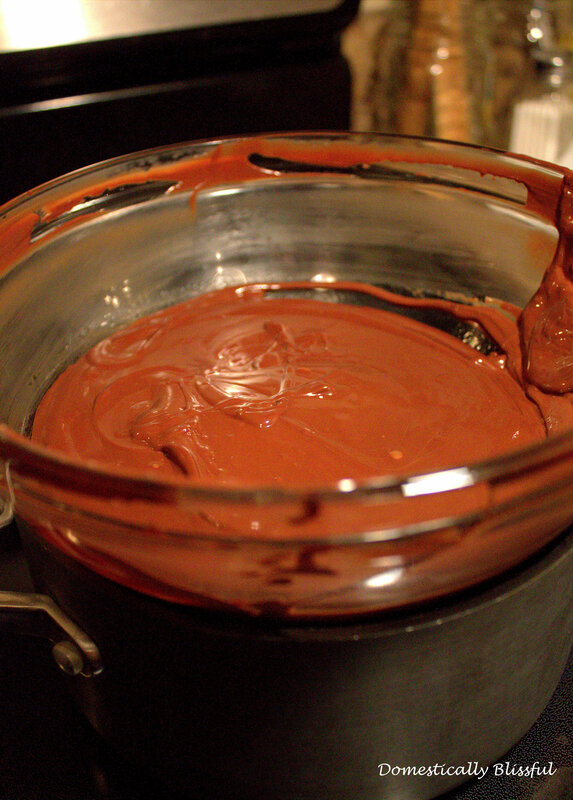 First, melt the chocolate chips on two different double boiler. If you don’t have a double boiler you can use 2 glass bowls over different pots of boiling water – remember to not let the water touch the bowl. While the chocolate is melting crush/chop the candy canes in a chopper – I use my Cuisinart Hand Blender with Chopper – with the 1 teaspoon of powdered sugar – to keep it from getting sticky. I pulse the chopper on low 3-5 times then I pour it out and pick out the big pieces and put it back in the machine and pulse it a few more times and I continue this process until all of the candy cane pieces are the size I want them to be. Stir the chocolate occasionally to make sure that it is melting evenly. 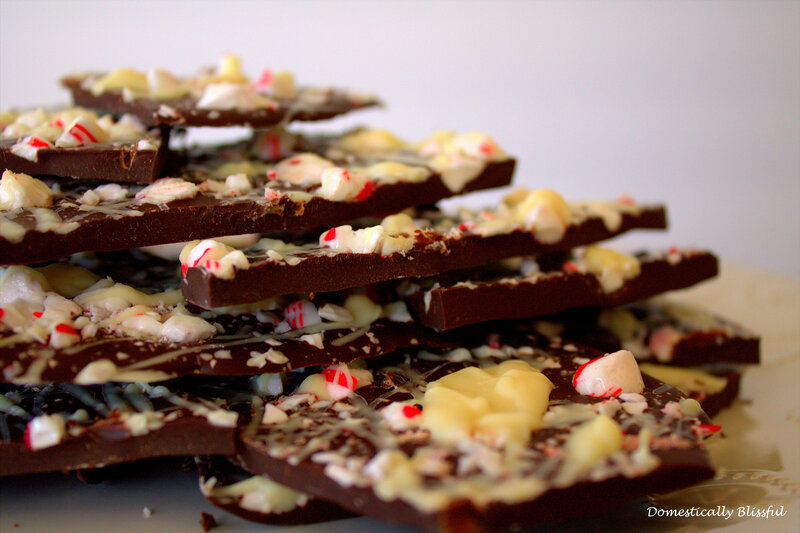 Once the dark chocolate has melted stir in the 1 teaspoon of peppermint extract. 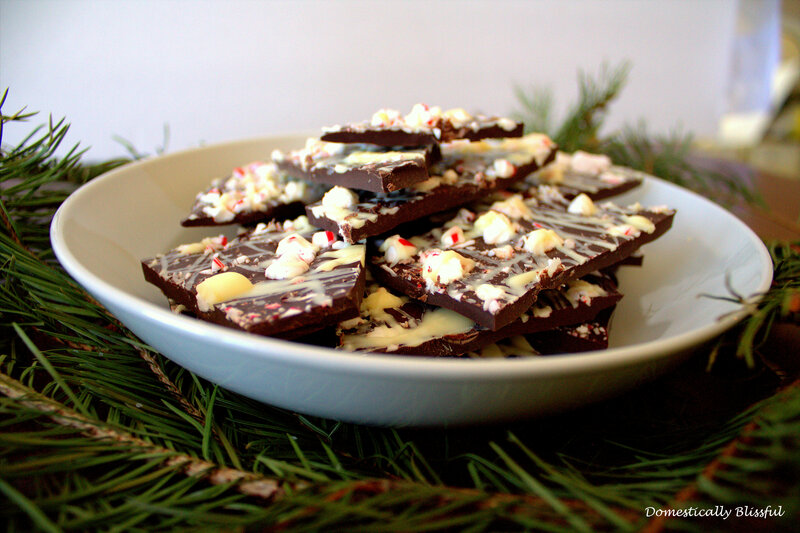 Pour the peppermint dark chocolate onto a pan lined with foil making sure to spread it evenly. I do this by pouring the chocolate evenly onto the pan and then carefully shaking it on the counter to make sure it spreads out evenly. 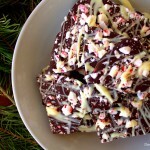 Sprinkle the candy cane pieces on top of the chocolate then drizzle the white chocolate on top. 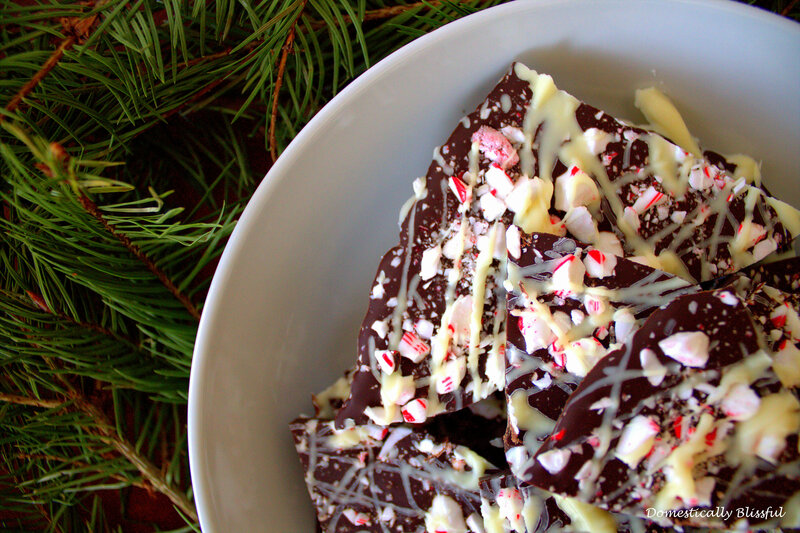 Place the Double Peppermint Bark in the fridge until hardened – the time will depend on how thick your chocolate is. You could also put it in the freezer to harden it even faster. I did this at night and left it in the fridge until morning, it was definitely hard by then! Use a butter knife to break it up and enjoy! Have any candy canes and chocolate leftover? 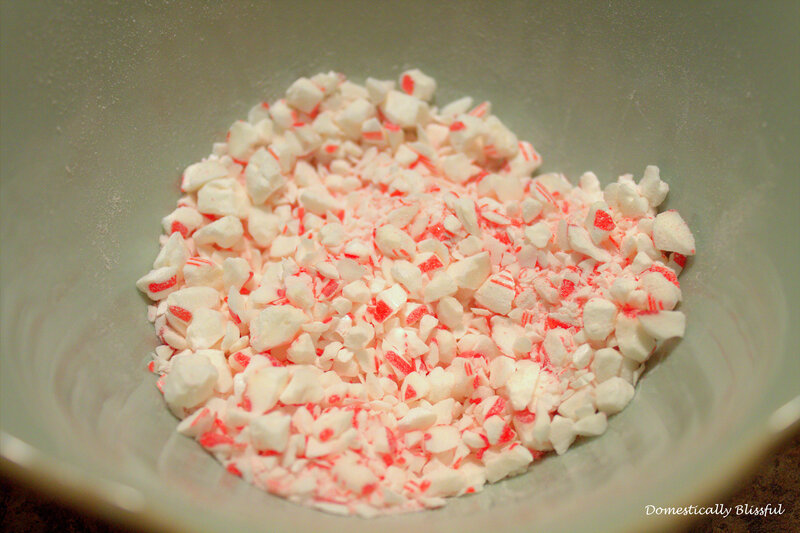 This Double Peppermint Candy Cane recipe will help you use up every last drop of that holiday goodness!